Day 14 – A picture of someone who inspires you. My friend Lisa and I are doing the 30 day picture challenge together, and I knew both of us would have the same picture for today. For those that do not know, this is my niece Alyssa. 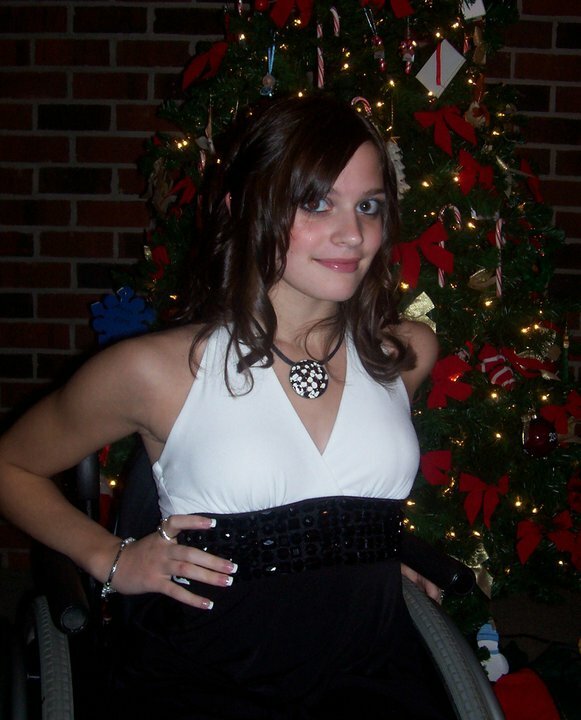 She was 6 yrs old when a car accident left her in a wheelchair. 13 operations, punk kids bullying her at …school, moves across country more times than she cares to admit, she still keeps going, and going, and going. She is an inspiration not only to me, but everyone who has the pleassure of getting to know her. That’s not to say that she does not have her moment…..after all, she is a 17 yr old teenager now, and well….you know how that goes!